If you’re anything like me, your closet is your nightmare. Not for the boogeyman who lived there when you were a kid, but for all the clutter. But it doesn’t have to be that way. 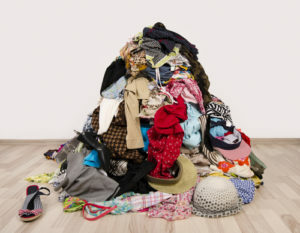 There are several easy steps that, if followed, can help you keep an organized closet and never waste your precious time rummaging through piles and piles of clothes in search for that one shirt you had your mind set on. It may seem counter-intuitive, but starting from an empty closet is the best option. Find a suitable place for the contents of your closet (a bed or the floor will do nicely), and dump everything there. And I don’t just mean clothes, go all out; coat hangers, boxes, bags, EVERYTHING that’s been in there for reasons known and unknown. Oh, a pro tip from the best maid service of Orange County: don’t do this in silence, it’ll be a drag. Play some tunes, preferably your gym playlist, to motivate and entertain you. Trust me, it’ll help immensely. If you’re lucky, maybe you can get a friend or S/O to help. Step one of actual organization is separating things in categories. This is good for two reasons. First, you get the idea of how much clothes you have; and as for second, you have now separated your pants from your shirts and socks. Huge time saver for what’s to come. These categories can go into separate boxes or separate piles; depending on how well-prepared you are for this. Keep an eye on smaller things you keep in there, like jewelry or accessories, so they don’t get misplaced in this chaotic time. This is usually the hardest part of the process. If you have a bit of a hoarding tendency (like yours truly), this may take you some time and way more emotional investment than you would expect. Still, it is usually necessary. Make your criterion about what goes and what stays. It can be based on how old it is, color, size, material; any criterion which makes sense for you. My personal favorite is the have you used it within the past year? The name is self-explanatory. If the answer is no, it most likely belongs in the “dump” category. However you organize the keep or dump, it is likely that both piles will be considerably large. Even if you are deciding to let go of some clothing items you no longer have need of, consider donating them to charity. I’m sure there are people who would gladly take those items off your hands. Alternatively, you can have some fun with it. If your friends or family often borrow clothes from you, or compliment you on your style, let them have a go at the stuff you no longer want. It’s a win-win. And, if you’re intent on making some cash off of it, you may consider a yard sale. Or even better, the 21st century version of a yard sale- an internet auction. After you’ve had your fun, it’s back to business, I’m afraid. At this point, cleaning the actual closet is a good idea. It’s a rare occasion to have your closet empty. So, clean the racks, the shelves, mop the floor, the walls, all of it. Who knows when you will have the chance next time. So if you notice any structural or any other kind of damage, the time to act is now. Fix whatever’s broken, repaint whatever’s faded. Oh, boy, this cleaning up sure takes a long time to write about. In fact, it’s so long, that the tips and tricks to putting things back are going to be covered in part two. Which is coming really soon, I promise. If you don’t have the patience or the time to deal with all that by yourself, you may consider hiring a maid. Maid This! offers the best maid service in Orange County. Whether it is just your closet or your whole home that needs cleaning, call us up today and we will be happy to refer a reliable maid to you.